We arrived at Bear Island Wildlife Management area just before the sun came up this morning. 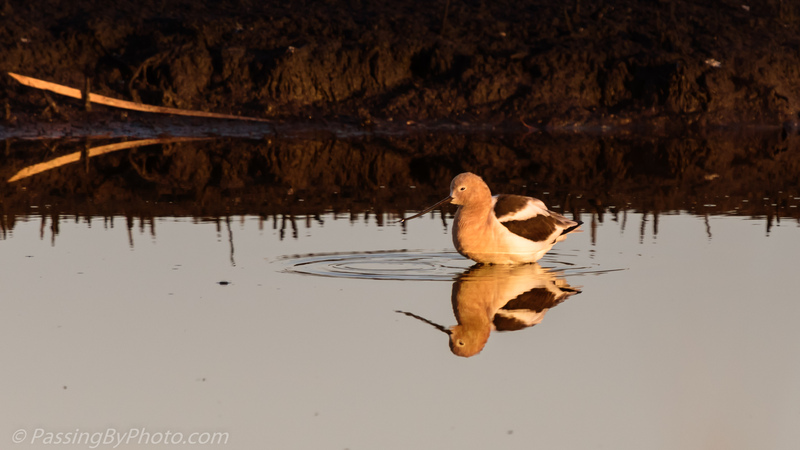 A few American Avocets were sitting in the shallow water and reflected the sun’s first glow. As we progressed around the impoundments throughout the morning there were several other areas with feeding Avocets. There were a few groups but they mostly fed on their own. 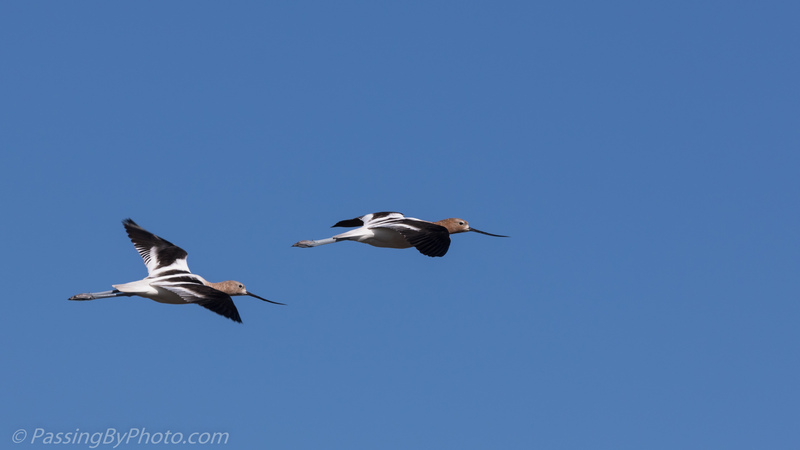 This pair in flight shows off the Avocet’s gorgeous colors and their upturned beak. Previous PostCruising AlongNext PostGood Morning! Thank you, Belinda. 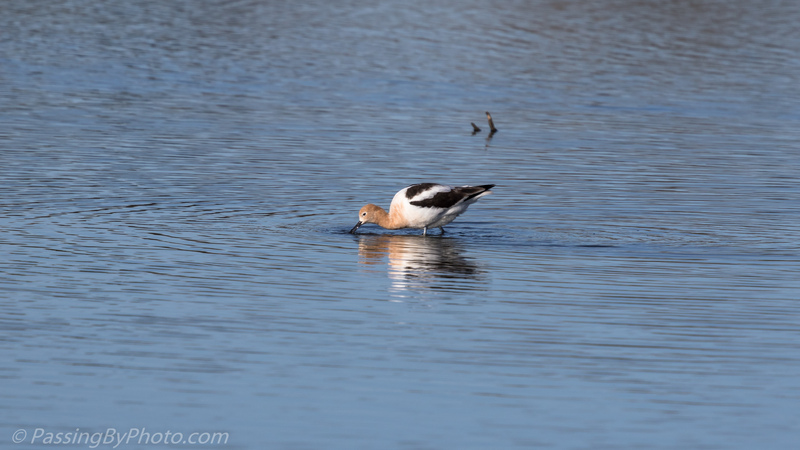 The Avocets earthy color are a wonderful color scheme. They have very pretty colours and like Belinda, I too think they’re lovely photos! Thank you, Liz. They are a pretty bird, and neat to see the patterns on their wings when they fly. Yes, I showed Nigel that photo last night and said to him how I love those patterns! What a cool-looking bird. I particularly like the first image, with the wonderful ripples and reflections and the beautiful morning light, all in a wonderfully composed shot. Thanks, Mike! They are fun to watch working the water, but seeing that first one just sitting in the water with the sun coming up was special.